Do you own a Mobicel smartphone or tablet? If yes are you searching for a simple way to connect your device to a computer? If yes is your answer again, then you are on the right page. Download Mobicel USB drivers from here (based on the model number of your device), install it on your computer and connect your device to PC or laptop successfully. 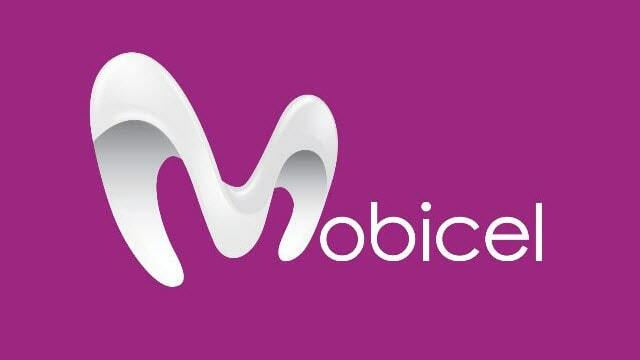 Since Mobicel doesn’t offer PC suite application for its customers, downloading and installing the USB drivers given on this page is the only way to connect your Mobicel smartphone or tablet to PC or Laptop computer. 1) Mobicel officially provides all the USB drivers given on this page. So, if you encounter any errors while installing these USB drivers, contact their support team. 2) If you would like to get rooting tutorials, firmware flashing tutorials, etc., for your Mobicel device, leave a comment below. 3) If you are unable to find the USB driver for your device here on this page, let us know by leaving a comment below. 4) If you have corrupted your Mobicel device, download Mobicel stock ROM firmware and flash it on your smartphone or tablet to get it back to a working condition again. 4) The Mobicel USB drivers given here are only compatible with Windows operating system. I would like to get rooting tutorials, firmware flashing tutorials, etc., for my Mobicel 4u device. Can you please provide me wit such materials as you kindly offered. We don’t have the stock ROM for you device. We will add it (Custom ROM & Rooting Tutorial) here as soon as we get it. Hi Have you been able to get the custom rom and tutorial as stated above? Still awaiting to tutorials on how to root mobicel frio Android 6 please help..
Can you do a trendy rooting tutorial? Drivers for R9 and R9 Lite specifically? How do I install mobicel frio USB drivers? And can u please share the link to how to root it, please..
My Computer will not see this stolen Mobicell. The drivers supplied by you don’t work either. Will have to steal a more popular brand – Vodacom. Hi Sathishkumar, It is not the computer that is at fault, but the cell. For some reason or other the cells usb visibility is switched off. I need to know how to switch it on. I have tried to look in the settings but to no avail. Greatly appreciate your assistance. Thanks. HI I AM BONNY I NEED HELP I FORGET MY PASSWORD OF MY MOBICEL CLICKA DUAL SIM PHONE PLZ HELP. would like to download drivers for mobicel pure plus , and not on above list. please assist. would like to download drivers for mobicel trendy plus , and not on above list. please assist. How to root Mobicel R1? I’m trying to find Mobicel Matrix (a.k.a. .Mobicel Chrome) drivers. Hi.. I am in need of a Mobicel V4 8.1 driver and possibly firmware too..
Any tricks about the phone will be welcome..
Any instruction of how to get this done? I am looking for Mobicel ULTRA driver. Plz help my r4 can’t read usb drive . Pls share USB drivers for mobicel x4. hi..drivers and firmware for mobicel pure plus please…. Hi I want to root my mobicel U2 how do I process this? Hi, is it possible to “ROOT” mobicel berry?